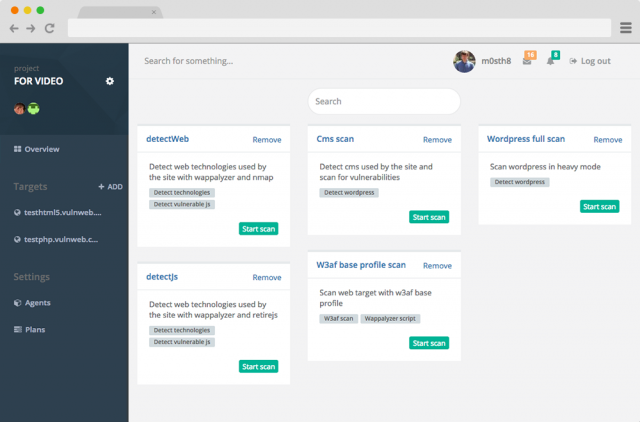 Bearded is an open source Security Automation platform. 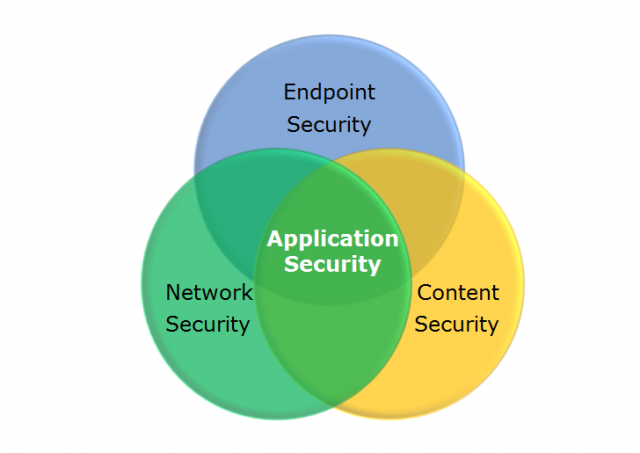 The platform allows Development, QA, and Security team members to perform automated web security scans with a set of tools, and re-execute those scans as needed. All tools can be executed in the cloud in docker containers. Bearded has a default web interface which integrates all core options and makes it possible to manage large pentests easily. All tools can be executed in the cloud in a Docker container, Bearded has a faultless web interface which integrates all the core options and allows you manage large scale penetration tests easily. The project is in pre-alpha though, so use at your own risk. IGHASHGPU is an efficient and comprehensive command line GPU based hash cracking program that enables you to retrieve SHA1, MD5 and MD4 hashes by utilising ATI and nVidia GPUs. It even works with salted hashes making it useful for MS-SQL, Oracle 11g, NTLM passwords and others than use salts. IGHASHGPU is meant to function with ATI RV 7X0 and 8X0 cards, as well as any nVidia CUDA video cards, providing a variable speed in accordance with the users GPU. The program also features a ‘-cpudontcare’ command that allows you to tell IGHASHGPU that it can use the maximum level of GPU, without any particular regard for CPU usage. At the same time, you can set a temperature threshold for tracking your hardware (’-hm’), so you can make sure to desist any activity that causes your system to go over the permitted value (the default is 90 degrees Celsius). It also has a feature that lets you set the block size so as to adjust the video response time and reduce any possible lags; if on the other hand, this is a characteristic that does not bother you in any particular way, you can input a higher value (as IGHASHGPU supports block sizes ranging between 16 and 23). Catalyst 9.9+ must be installed. Only supported nVidia cards are the ones with CUDA support, i.e. G80+. Systems with multiple GPUs supported. -uf [filename] Load characters from file. Not used with Unicode. -devicemask:[N] Bit mask for GPUs usage, bit 0 == first GPU (default 0xFF, i.e. all GPUs). -cpudontcare Tell ighashgpu that you want maximum from GPU and so don't care about CPU usage at all (and it means one CPU core at 100% per one GPU). -hm [N] Set threshold temperature for hardware monitoring, default is 90C. You can disable monitoring by setting this value to zero. -blocksize [N] Set block size, by default N = 23 which means 2^23 = 8388608 passwords offloaded to GPU in a single batch. PowerShell Runspace Portable Post Exploitation Tool aimed at making Penetration Testing with PowerShell “easier”. PowerOPS is an application written in C# that does not rely on powershell.exe but runs PowerShell commands and functions within a powershell runspace environment (.NET). It intends to include multiple offensive PowerShell modules to make the process of Post Exploitation easier. 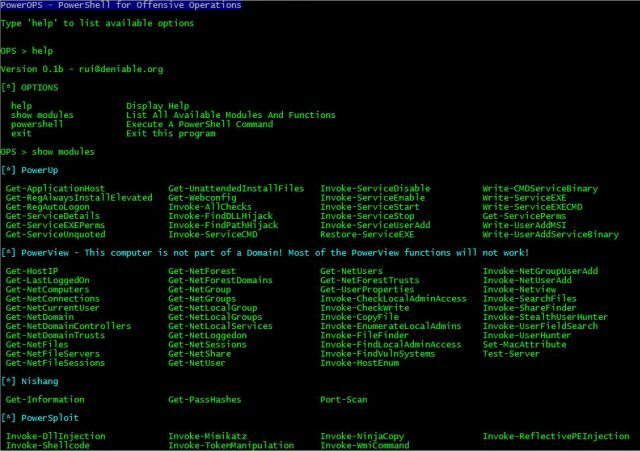 Since PowerOPS offers basically an interactive PowerShell command prompt you are free to use the PowerShell tools included the way you want, and additionally execute any valid PowerShell command. Just run the binary and type ‘show’ to list available modules. [-] This computer is not part of a Domain! Some functions will not work! Right now there’s a ton of people talking about the NSA Hack, the severity, the repercussions and the value of what has been leaked. It seems the 0-day exploits in the cache of stolen aren’t super recent ones, as it appears they are from 2013. But even so, some of them haven’t been patched as both Cisco and Fortinet have warned customers about the vulnerabilities revealed in the data posted by Shadow Brokers. A group calling itself the Shadow Brokers has started an online auction for top-of-the-range tools it claims were stolen from the Equation Group, a digital attack squad linked to the NSA. The Shadow Brokers posted up news of the auction saying (in broken English) that they had been monitoring the Equation Group’s servers, had stolen the advanced hacking tools, and will auction them off to the highest bidder. The group said that if it gets Bitcoins worth $1m they will release the tools for free to everyone. “We want make sure Wealthy Elite recognizes the danger cyber weapons, this message, our auction, poses to their wealth and control. Let us spell out for Elites. Your wealth and control depends on electronic data,” the group said [the link has since been taken down]. Claims about stuff like this for sale online are often fake, so to prove their case the team posted sample code, which it says is around 40 per cent of the total, online. Postings on Github and other download sites have since been taken down, but not before some people got copies. 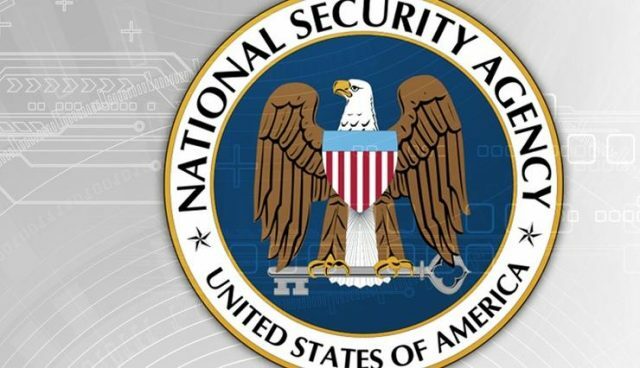 Now it seems NSA wasn’t hacked directly, but via an agency called Equation Group which is believed to be a digital cyber-terrorism arm of the NSA. Even so, it brings up some well debated issues about the NSA reporting zero-day flaws to vendors rather than hoarding them (which the White House promised they would stop doing). A preliminary analysis shows the revealed list seems to be focusing on router flaws, some of them quite old. Some files also share names with exploits listed in the NSA’s Tailored Access Operations hacking team’s catalogue for agents, revealed in 2013 by Edward Snowden. Kaspersky, who first linked the Equation Group to the NSA, said it was analyzing the files but had no clue as to their veracity as yet. But Timo Steffens, a member of the German CERT-Bund team, is taking a skeptical line, although he acknowledged that if this is a fake, the scammers had put in a lot of effort. Initial analysis by the likes of Kaspersky Labs, NSA whistleblower Edward Snowden, and a host of independent security researchers shore up claims by a hacking group calling itself Shadow Brokers that the exploits and toolsets it hopes to auction for millions of dollars in Bitcoins are legitimate Equation group weaponry. Kaspersky Labs last year revealed the Equation group to be almost certainly a state-sponsored actor and, according to deep analysis of its activities, highly likely to be a wing of the National Security Agency given a series of very striking operational and technical similarities. The Shadow Brokers group seems to likely originate from Russia, so this is a nation state vs nation state attack possibly at the highest levels of each countries intelligence agencies. It’s an interesting story and it’s creating a lot of news and drama, it’s a tough call for NSA as they have to maintain their attack capabilities against Russia and China whilst also balancing the health of American commerce and the safety of all the users utilising equipment from those vendors.